by Brown, Walter Charles, Brown, Ryan K.
Comments: Orders ship SAME or NEXT business day. Brand new. 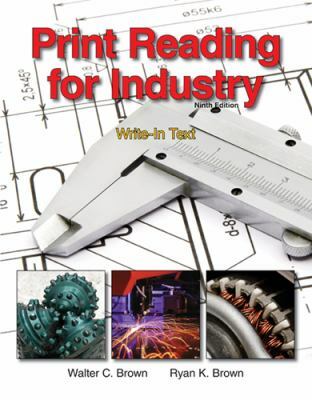 ISBN 1605253081 Print Reading for Industry (C.)2011 New Inventory. Brown, Walter Charles, Brown, Ryan K.
Brown, Walter Charles is the author of 'Print Reading for Industry: Write-in Text/ Large Prints for Use With Write-in Texts', published 2010 under ISBN 9781605253084 and ISBN 1605253081. Loading marketplace prices 33 copies from $0.60 How does the rental process work?